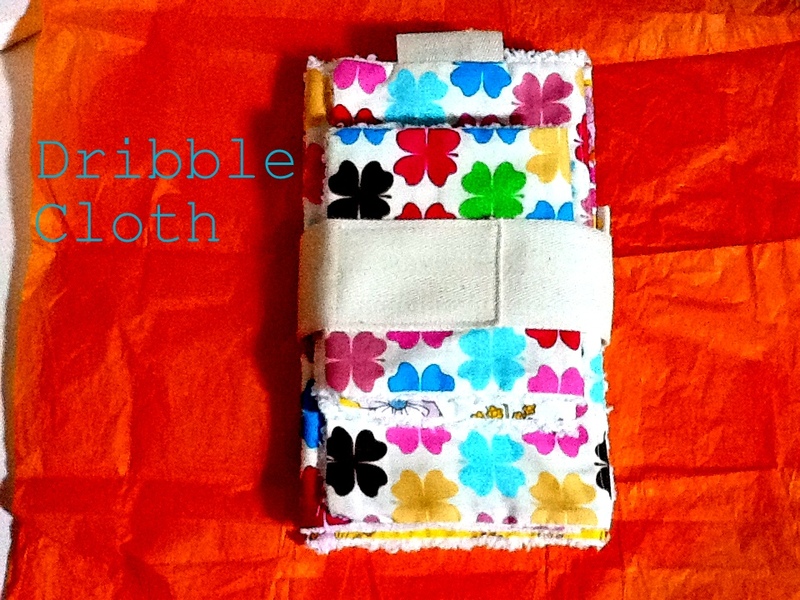 OOPI: Baby Dribble Cloth ... or the love for Chenille. 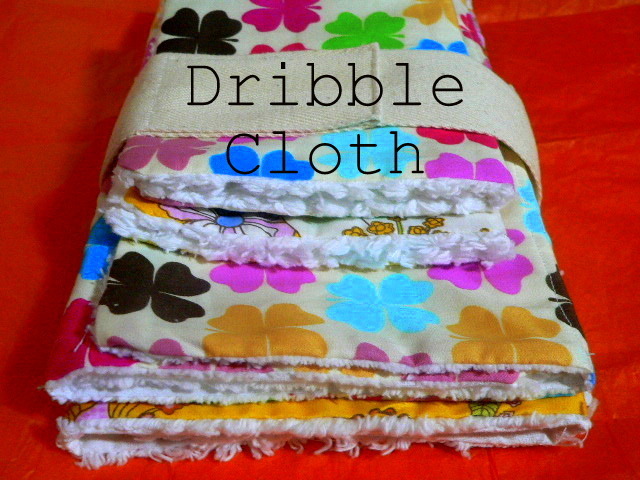 Baby Dribble Cloth ... or the love for Chenille. I love chenille. I always have and always will. Especially when it comes to baby gear. It's much softer than terry toweling and quite absorbent too. I've got a little friend, Alexandra, a real cutie pie, who has just discovered the joy of dribbling! So I just knew what to do: Dribble Cloths! But, alas, finding Chenille hasn't been that easy. Spotlight has some, but only in a very pink pink and when I asked for a possible order for a nice crisp white, I was told it was discontinued and won't be available in the store anymore, whether white, pink or blue. Blah. So I bought some of the pink, just in case. But I wasn't convinced. So I tried Lincraft and got a bit more luck here. I've found some white Chenille, but only in the wide ribbed style. I don't mind; I quite like the look of the wide strips but it's not as soft as the other one. I'd love to make a both robe for the kids with it, but at nearly $23 a meter, I probably won't. But I can make a lot of dribble cloths instead. And so can you because it is so easy to sew! 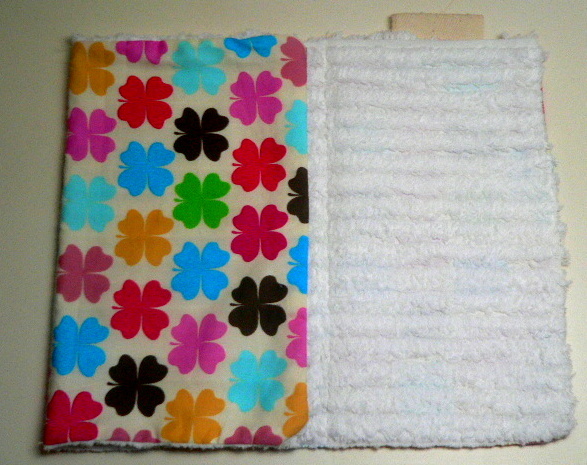 It is not something new, if you google, you'll find there are quite a few dribble/burp cloths around. But I'd like to show them to you here, just in case you've never came across any. I like to gift mines as a set; two or three with matching mini ones, about the size of a man's wallet, to fit in any pocket for a quick dribble wipe action. I must say, I've used the small ones a lot more. And I still do, to wipe off chocolate moustaches and other bits of food that tend to cling to the kids'mouth. The larger ones are made to protect your shoulder after a feed. Well, they can be used for any sorts of spill, really. 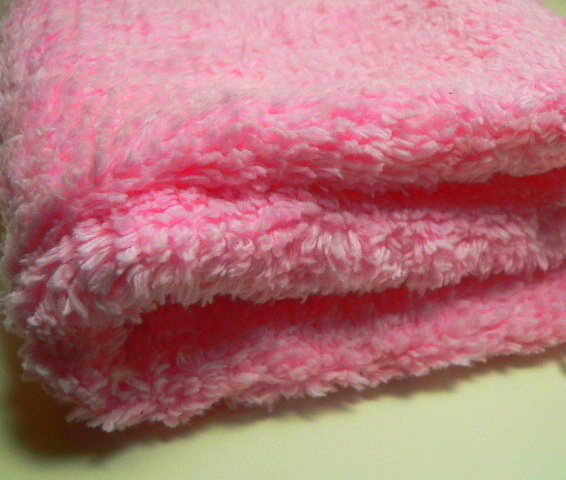 Larger cloth: Cut a rectangle 10"x 16" in the chenille, then in the fabric of your choice. With wrong sides of fabric together, sew all around, leaving a small opening. Trim excess fabric at corner. Turn fabric inside out (through the opening) close the opening with a top stitch. It keeps the two layers of fabric in place nicely and the folding tidy. 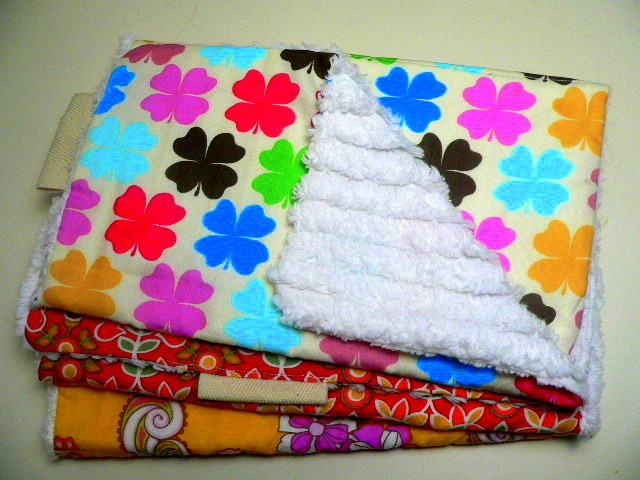 For the mini cloth, I just top stitch in the middle, so it folds nicely in half. And that's it. Real easy, Real quick, Really do-able. And it makes really cute presents. Really, really!